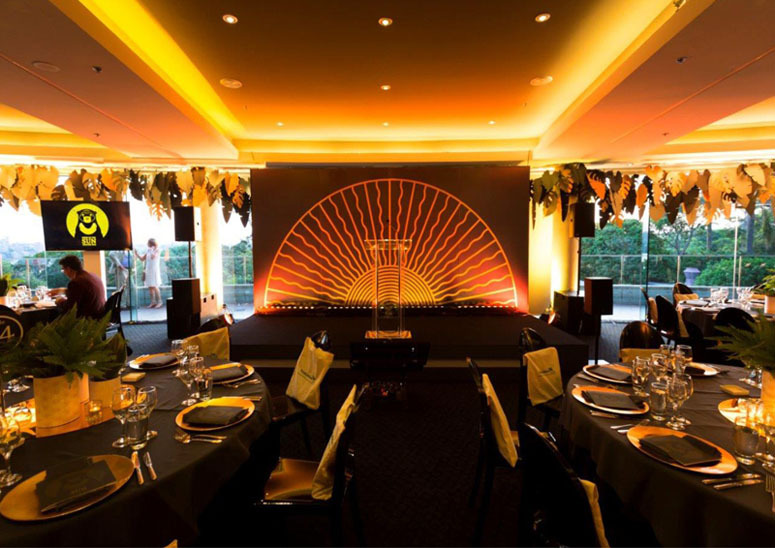 Continuing as supporters of the Taronga Foundation, we were asked to come up with a brand for annual fundraiser, Zoofari. 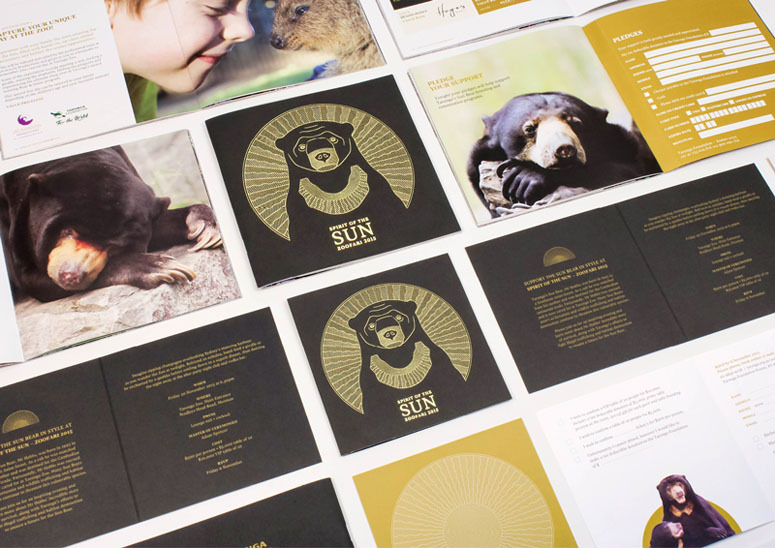 This year's cause was Sun Bears, who are threatened in the wild by habitat loss and commercial hunting. 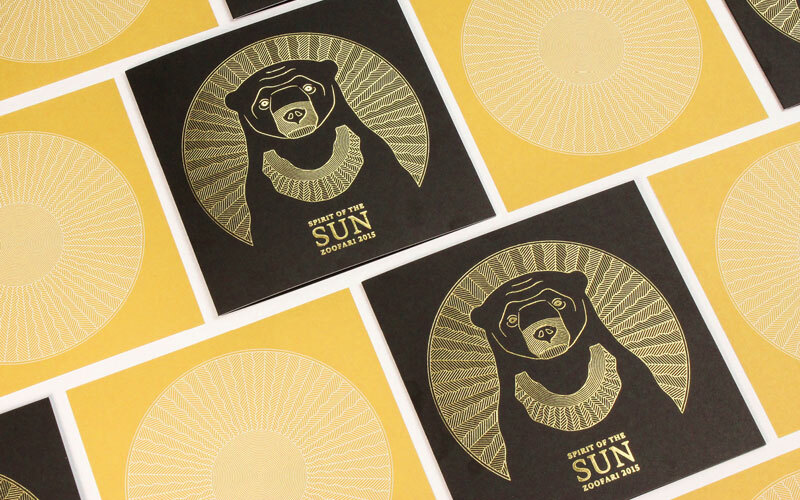 Legend has it that the bib-shaped patch on the Sun Bear's chest is a symbol for a rising sun. 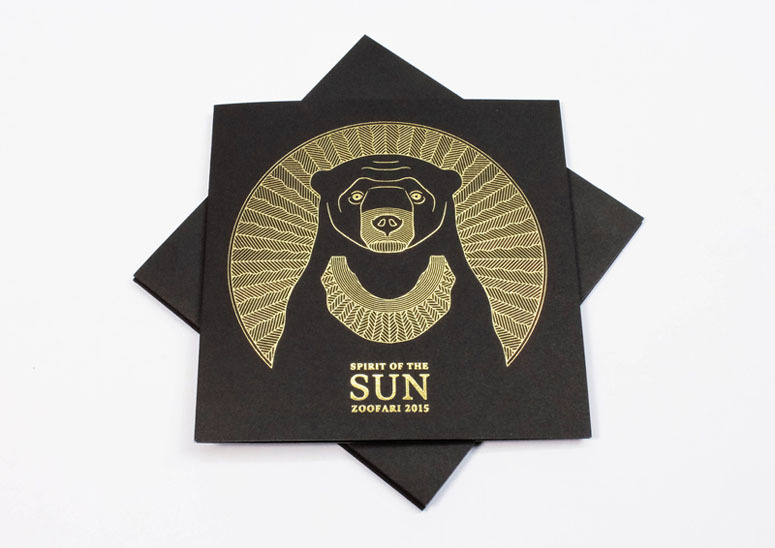 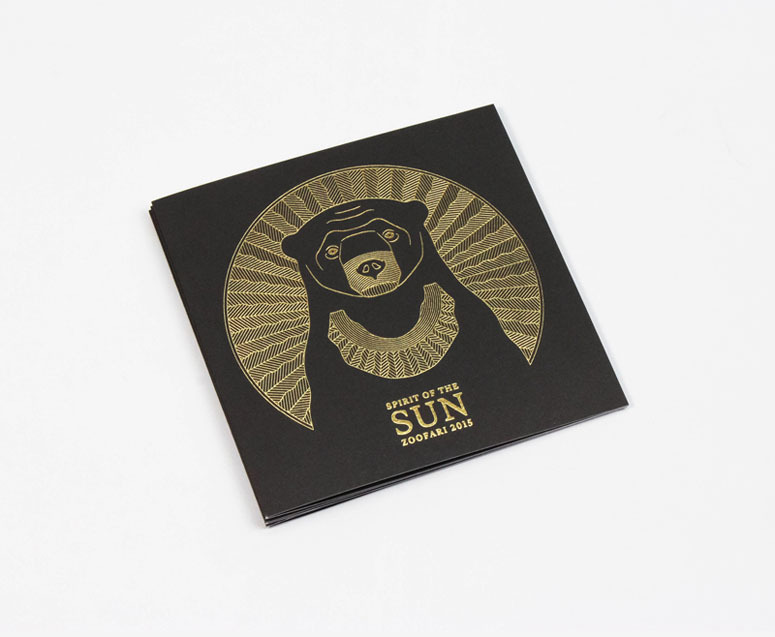 We named the event Spirit of the Sun and created a intricate, gold-foiled illustration stamped onto smooth black card â a sun literally shining through the bear to display it's distinctive markings. 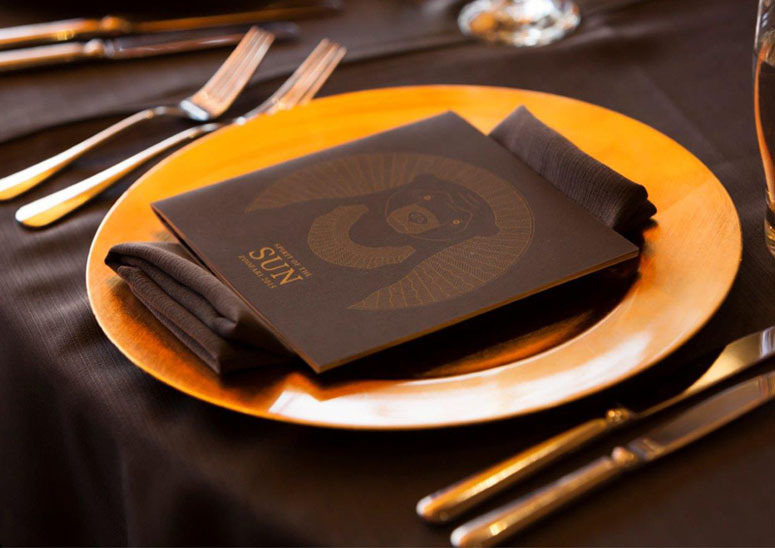 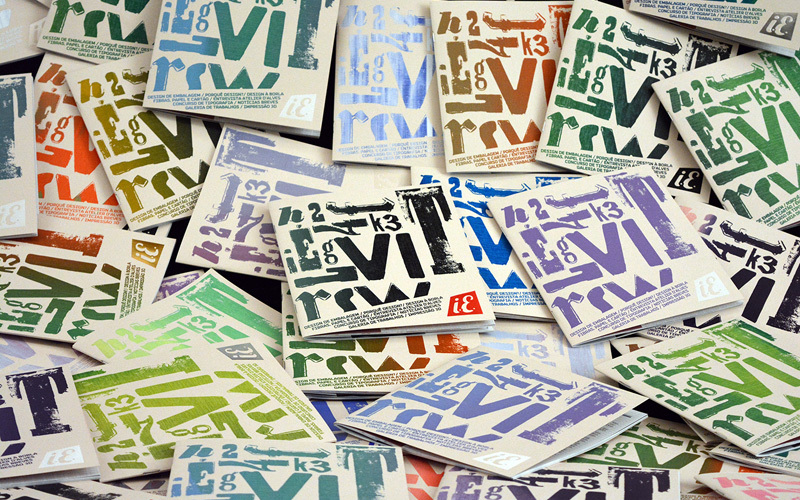 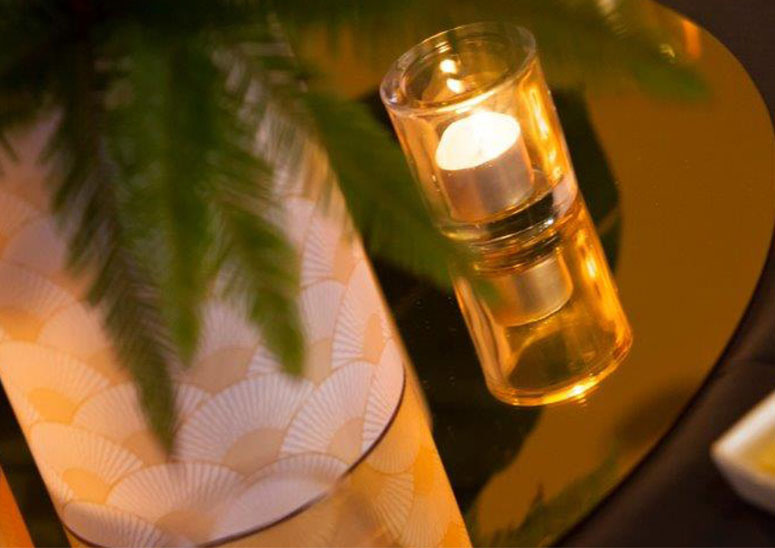 The radiant motif was used throughout the event, printed on invitations, programs and décor. 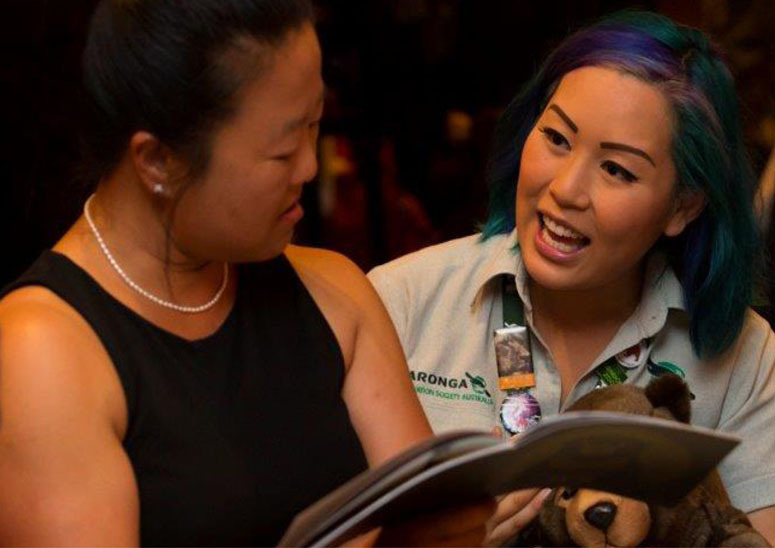 The event raised over $383,000 and will contribute to continued protection of Indonesia’s endangered forests and wildlife while creating opportunities for local communities to live alongside wildlife. 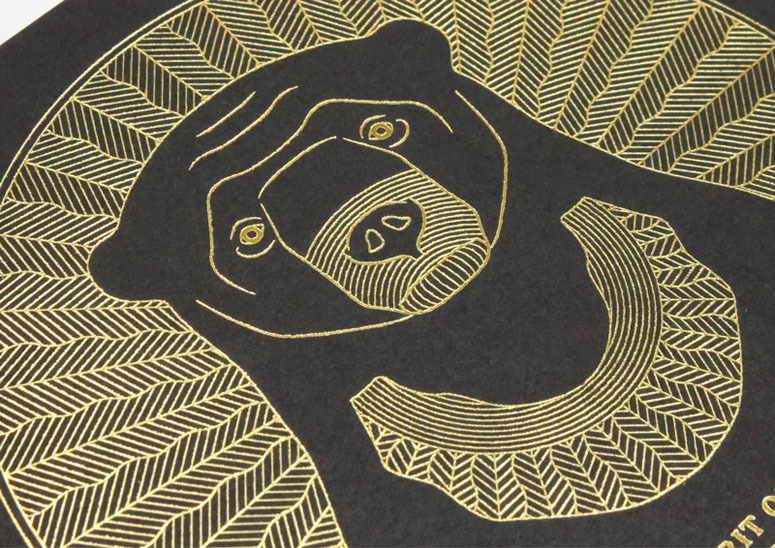 Our Sun Bear illustration was made up on a network of intricate lines. 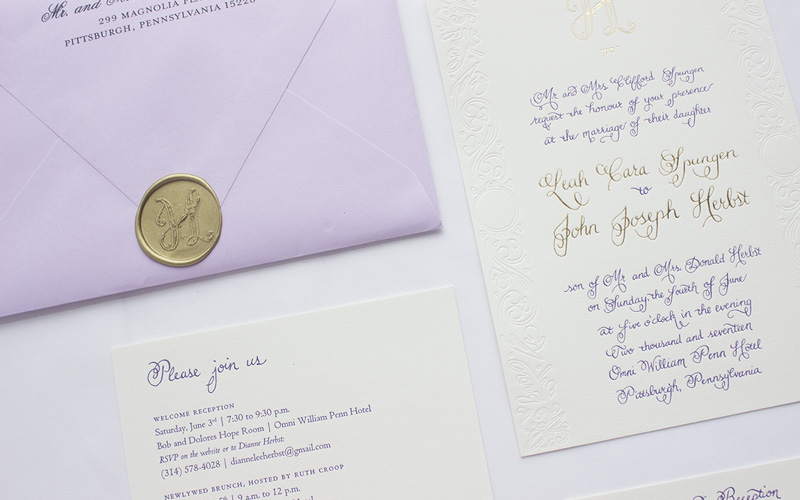 It was important to the design that the line work remained fine, but after discussing with the printers and foilers we thickened the lines to 0.5 point to ensure the production value of the invite. 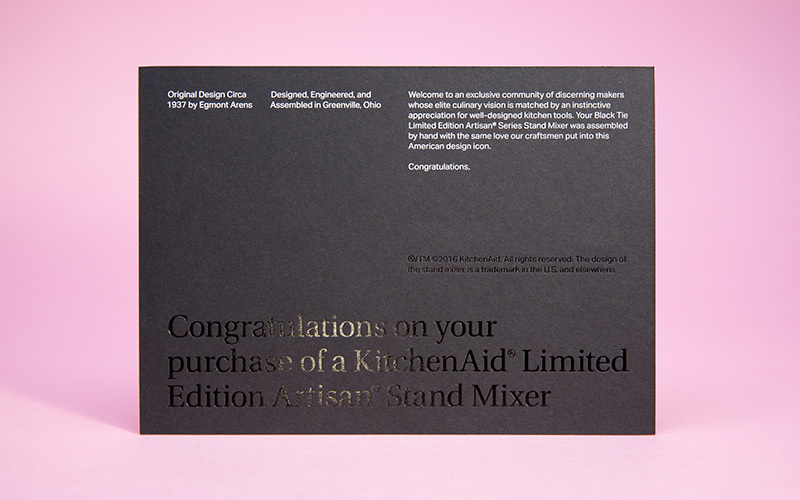 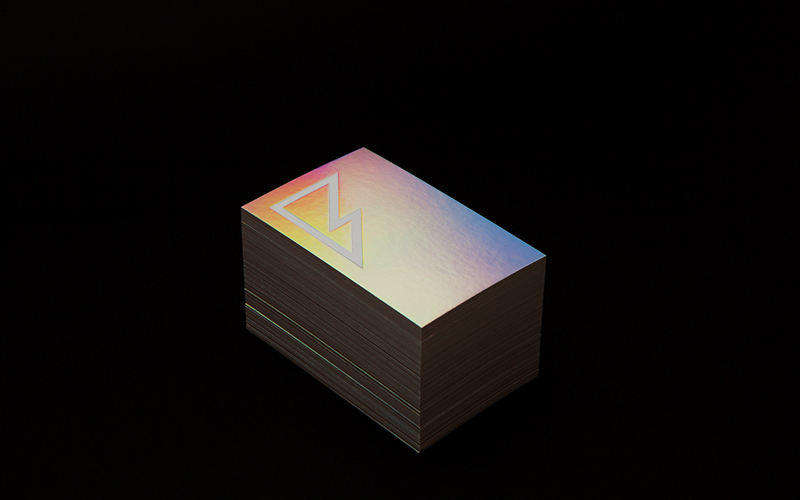 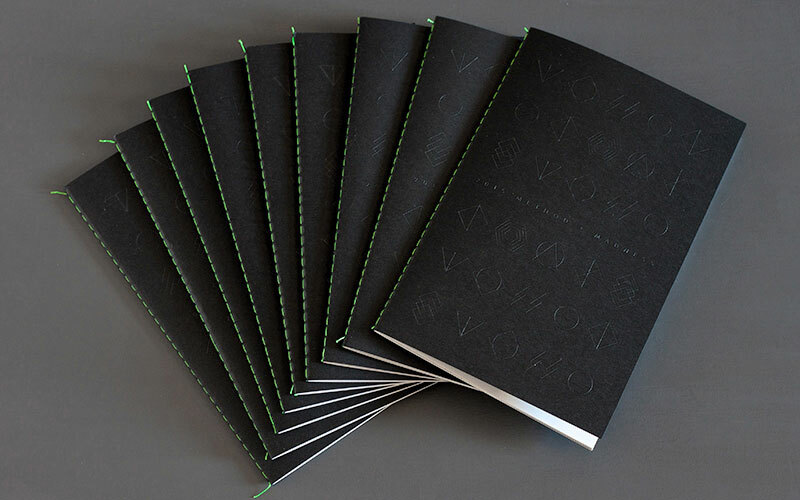 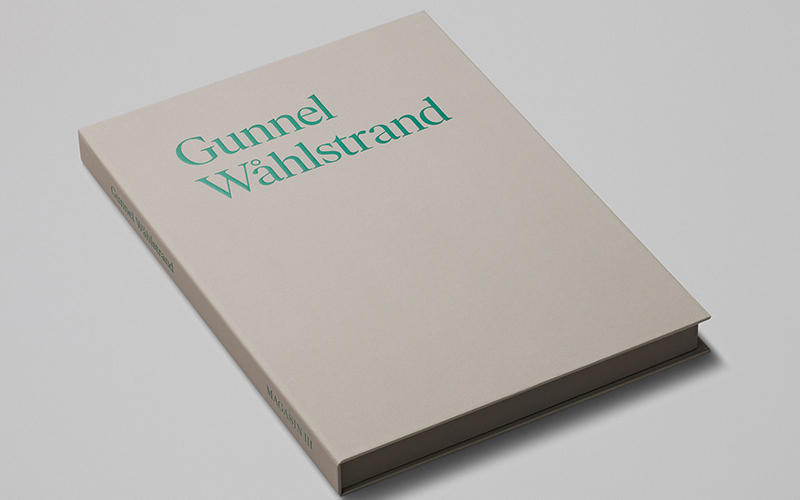 The design team had enough knowledge and experience with foil stamping before starting the project, which ensured that the intricate lines within the cover pattern where wide enough to provide full stamping with minimal breakage. 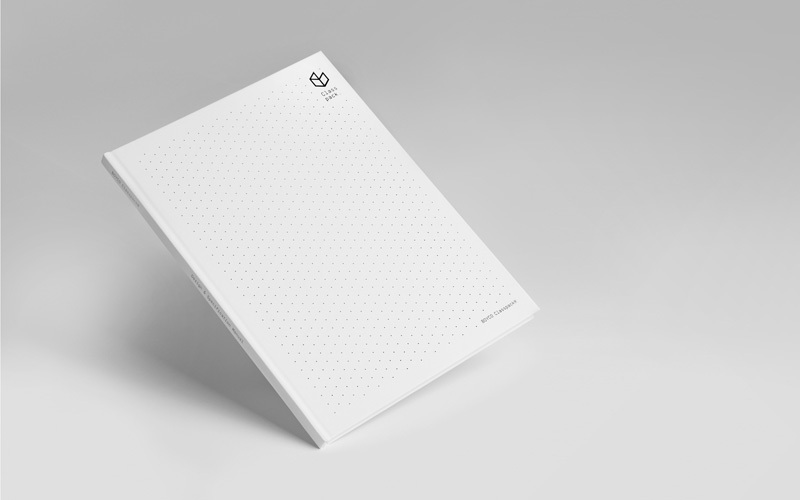 Nice work on the fundraising too!